Hello again! It's been a beautiful Autumn week here in Upstate NY, in the 70's most of the week! Very unusual for November in NY! 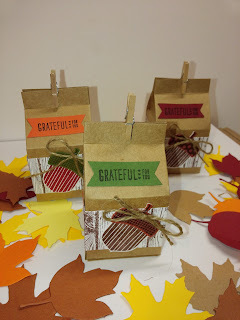 I love this time of year and was inspired to create some leaf and acorn themed projects. I'm sharing one of those with you today! A really cute mini milk carton. 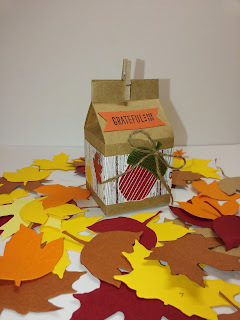 There is a great tutorial on how to make these here Pootles-Mini Milk Carton. She has a ton of tutorials on really cute projects. These were very easy to make and you can decorate them any way you want. 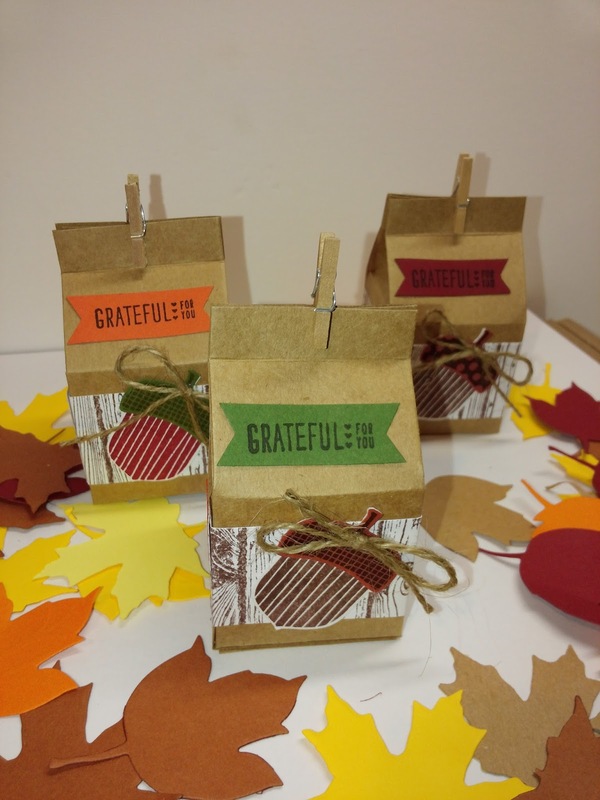 I love my acorn builder punch from Stampin Up! So cute for Autumn projects! I used the Spellbinders S5-120 Shapeabilities Fall Foliage Die Templates to cut the leaves. I got the mini clothespins from Walmart. The kraft cardstock came from Hobby Lobby, you can get it in 8 1/2" x 11" and 12" x 12". I love this paper! I haven't found anything better. Their heavyweight cardstock packs are also awesome-comes in white, vanilla and black. Love it!